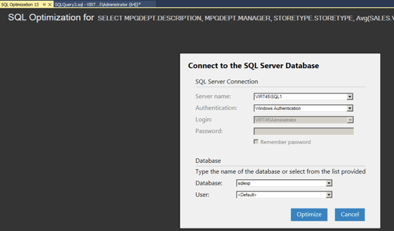 On March 21st, 2019, Quest released a new version of the SQL Server Management Studio (SSMS) plugin, Spotlight Tuning Pack. The new release includes improvements to performance of the parser and improved error messages. There is also a new dialog that allows you to set connections. This feature is quite neat cause if you have different databases in test, dev, UAT, production, it is important to be able to let the optimize feature know that you want to switch. You can set the context of this query to the correct instance, authentication, and database. We have also added new buttons that allow you to Cancel or Stop (not available in the previous versions of Spotlight Tuning Pack). If you ever realize you made a mistake or started to optimize the wrong SQL, you cancel or stop by clicking the button at any time. You can now see what sort of improvements there are as the optimizer is processing. 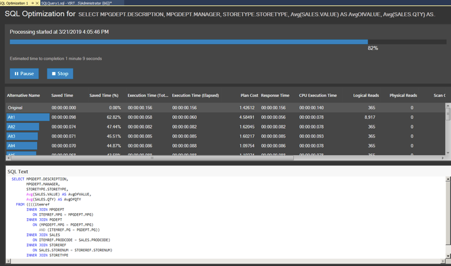 MSSQL Tips Webinar - Monitoring SQL Server - For Free!